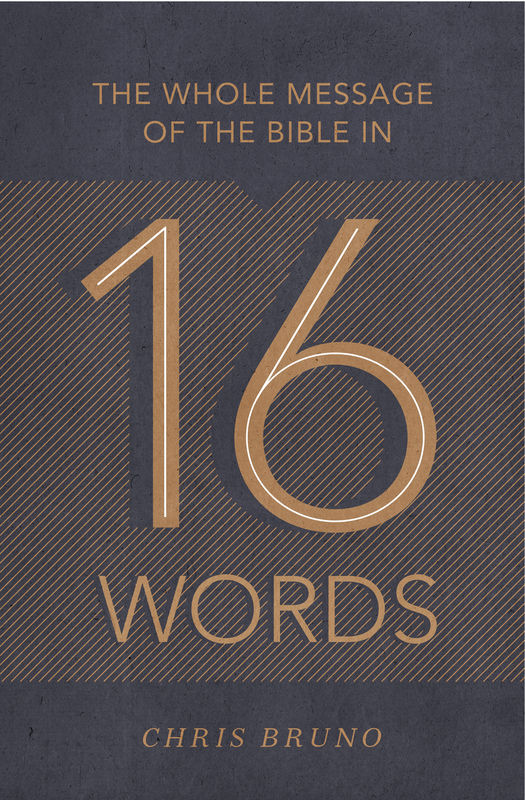 16 Key Words. 1 Overarching Message. At the heart of the Bible is one overarching message: God saving his people through their promised Messiah. This accessible introduction to the main point of the Bible traces the development of sixteen key themes— creation, covenant, kingdom, temple, judgment, and more—from Genesis to Revelation, showing how both the Old and New Testaments come together to declare a single unified message. A concise primer to biblical theology, this book helps readers trace God’s unfolding plan of redemption throughout the Bible. Chris Bruno (PhD, Wheaton College) serves as assistant professor of New Testament and Greek at Bethlehem College & Seminary in Minneapolis, Minnesota. He previously taught Bible and theology at Cedarville University and Northland International University and served as a pastor at Harbor Church in Honolulu, Hawaii. Chris and his wife, Katie, have four sons. "Chris offers a clear, brief, and winsome trip through the pages of Scripture as he examines major unifying themes of the narrative of redemption. This is a wonderful contribution to the growing number of works that help Christians learn biblical theology; it helps us 'put our Bibles together' and better grasp the story of God's saving reign through Jesus. I commend this book to you, and pray that it blesses and teaches many in the church."